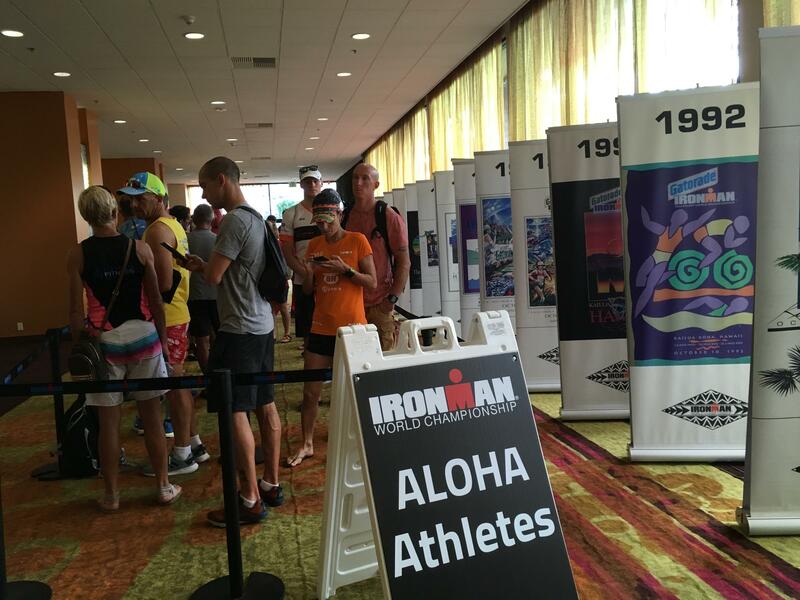 Athletes wait in line to register for this year's Ironman Triathlon World Championship in Kailua-Kona. The Ironman Triathlon World Championship will celebrate 40 years this Saturday. There's a 2.4 mile swim in Kailua Bay, a 112-mile bike ride up Queen Ka'ahumanu Highway to Hawi and back, then a 26.2-mile marathon almost to Kona Airport and back. Athletes take from 8.5 to 17 hours to finish. The last economic impact study 12 years ago showed Ironman brought $26 million dollars to the island. Diana Bertsch, Ironman's Vice President for World Championships, says in 2006, there were 1700 athletes. This year, they expect 2,550. Not everyone is happy about the impact of Ironman. Al Gustafson owns a gas station and convenience store on Queen Ka'ahumanu Highway near Kealakehe Parkway. Although there are back roads to his station, he says he stands to lose around $30,000. "I do not want to get rid of the Ironman. Taxpayers paid $120 million dollars for a four lane highway. On Ironman Day, they are going to take the whole four lanes." Diana Bertsch says there are bikers, runners, bike repair, aid stations, and media on the road at the same time. She says they tried to use half the highway to Kona Airport, where the four lanes revert to two. "We were hoping to keep one side of the highway open. It's not a matter of lanes, it's a matter of width. The new highway is over ten feet more narrow. The safety of the athletes is our priority." Florida's World Triathlon Corporation was purchased in 2015 by the Chinese company Dalian Wanda. But Bertsch says Ironman is still managed independently. "Their real intentions were to grow the sport. Their focus has been China." There are now several qualifying Ironman races in China, and there are plans to add more than 100 Iron-related events in China by 2020. 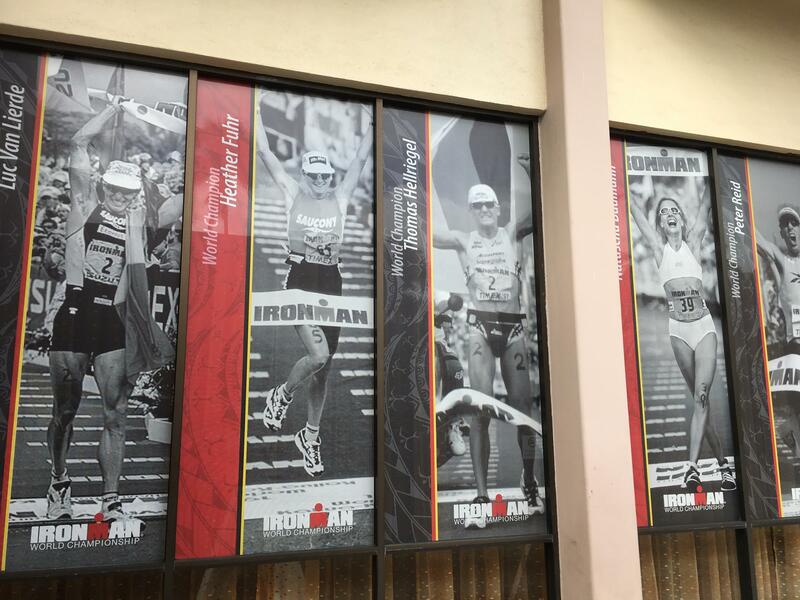 Posters of past winners of the Ironman Triathlon World Championship. Bertsch says more than 6 million people will watch the race live online. She expects 30,000 peole in Kona on race day. "What Ironman does is take Hawaii to the world."